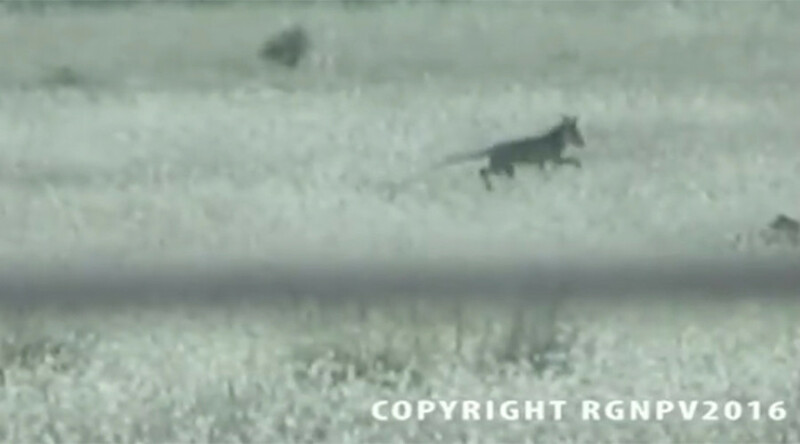 Footage has emerged which apparently shows a Tasmanian Tiger roaming the wilds of southern Victoria in Australia. The video, which was released by the Thylacine Awareness Group of Australia, shows close up footage of the animal, with experts very confident it is a Tasmanian Tiger, or Thylacine to give it its scientific title. “I Googled how fox's urinate and they urinate like a normal dog. But this thing, backed up against one of those reeds there and just sprayed like a male cat would,” the woman said. The woman who filmed the footage says she happened to see a thylacine and a fox in the same area on one sighting, which let her distinguish further between the two and lead her to believe it was in fact a thylacine. A number of people have claimed to have spotted the animal over the years but their claims have usually been debunked, with most failing to provide video evidence. Earlier this month, Thylacine Awareness Group also released another video of a potential thylacine sighting near someone’s house in Adelaide in South Australia.